This post is part of an ongoing series examining Marcion of Sinope and his influence on the development of the New Testament canon. In some ways Marcion was a rather popular figure among Christians during the mid to late second century, as numerous writers and apologists made reference to his beliefs and churches. These treatments of Marcion, however, were far from positive in their understandings of his theological system. We are fortunate to have extant several major writings of the Early Church Fathers concerning Marcion. 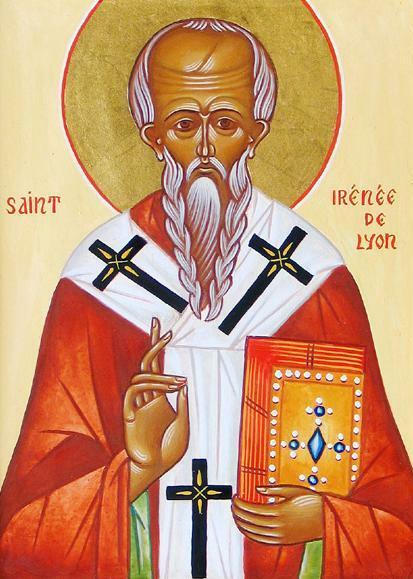 Of these, Irenaeus of Lyon’s Against Heresies appears to have been the earliest written, sometime around 180 CE. This was followed later by Tertullian of Carthage’s anti-Marcionite writings, of which at least six books are extant. Also available to us are the writings of Hippolytus of Rome and several references by Eusebius of Casarea to works of Marcion and his followers, as well as several references to works against Marcion that are no longer extant. As is often the case concerning sources in antiquity, it remains unfortunate that the writings of one of Marcion’s direct contemporaries, Justin Martyr (d. 165), have not survived the perils of time although numerous ancient authors reference his work. W thus begin our examination of historical sources on Marcion with the earliest extant writings of the proto-orthodox against Marcion, those of Irenaeus of Lyons found in Against Heresies. Irenaeus made mention of Marcion in three of this work’s five books, including a section in his first volume, which was devoted to cataloguing various heretical groups and schisms. Here Irenaeus wrote that Marcion was the follower of Cerdo, who preached that “the God who had been proclaimed under the law and the prophets was not the Father of Our Lord Jesus Christ, for the former was known, but the latter was unknown….” Irenaeus noted that Marcion advocated Jesus coming to earth as a fully grown man during the reign of Pontius Pilate to abolish the Jewish law and prophets, and that he edited the Gospel According to Luke to fit this narrative. Further, he indicated that Marcion removed with Paul’s writings inferences of Jesus’ father and all prophetic remarks, and that Marcion knew enough of the narrative of the Jewish scriptures to both reject YWHW as the same deity represented by Christ and to formulate a revisionist history for certain characters from the Jewish scriptures, such as Cain, the Sodomites, and Egyptians, casting them as those who had done right by opposing the demiurge. In his third volume of Against Heresies, Irenaeus wrote that Marcion followed neither scriptures nor the traditions of the apostles. He further argues that Marcion reduced the number of the gospels, removed even portions of Luke’s gospel, and argued that Paul alone knew the truth of the gospel of Christ. In the fourth volume of his work, Irenaeus referenced that Marcion revised the entire narrative of the Jewish scriptures, arguing that Abraham and the patriarchs were not followers of the true God, claiming that the creating deity was the originator of sin who commanded murder and lawlessness, and rejecting all prophecies that could be interpreted as pointing to Christ, arguing instead for a literal reading of the Jewish scriptures. While Irenaeus’ writings give numerous insights into Marcion’s theology, they allow only a handful of inferences concerning his use of scripture, canon, and authority. Clearly Marcion’s version of the Christian faith was met with a great deal of concern by those who identified themselves as Catholics, this concern seeming to stem at least from Marcion’s perspective on Jewish scriptures, which he seems to have inherited from Cerdo. From Irenaeus’ writings, it becomes obvious that Marcion was aware of enough Jewish scripture to discern that the god of the Jews was not the God of Jesus. Further, he appears to have known enough Gospel material, either in written or oral form, to conceive of a Jesus who came to Judea when Pontius Pilate presided as procurator to abolish the prophets and the law. Irenaeus also noted that Marcion had possession of at least some written sources, at least something resembling the Gospel According to Luke and some of the Pauline epistles. J.W.C. Wand. 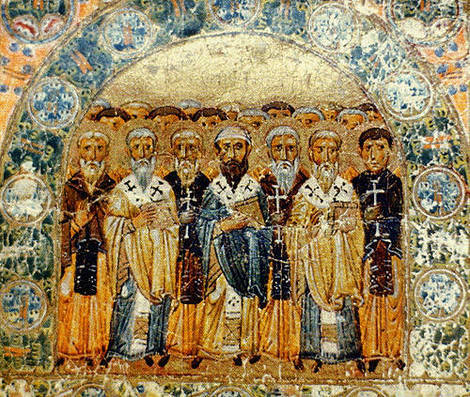 A History of the Early Church to A.D. 500. Routledge: London, 1994. 63. See The Anti-Marcionite Writings of Tertullian. See Ante-Nicene Fathers: Hippolytus, Cyprian, Caius, Novation, Appendix. Ecclesiastical History. Penguin Books, 1989. Glenn Hinson. The Early Church: Origins to the Dawn of the Middle Ages. Abingdon Press; Nashville, 1996. 62. Eusebius, IV.10-12. Irenaeus, AH 1.27. Ibid., 1.27. Ibid., 1.27. Apparently here the Jewish writings now called the Christian Old Testament. Ibid., 3.2. Ibid., 3.11. Ibid., 3.15. Ibid., 3.12. Ibid., 4.8. Ibid., 4.29-30. Ibid., 4.34.